By 2020, there will be an estimated 2 million people in the UK live with sight loss based on Royal National Institute of Blind People (RNIB) Report. To prevent this from happening, eye care professionals are investing sophisticated technologies to offer the highest standards in eye care. One of which is purchasing equipment with projected capacitive touchscreen (PCAP) technology. To give you an overview, PCAP-enabled devices are built to withstand harsh and hygienic condition. In fact, it is certified with NEMA sealing and IP68 rating. Thus, it is resistant to any liquid spill overs, dust, or any harmful particles over a wide temperature range. But, why should you consider touchscreens with projected capacitance? Let’s have a quick look. With an increasing demand of various innovative technologies for eye care, your greatest weapon would be on how to improve efficiency when it comes to providing eye care services. Eye care professionals can use a 17” industrial-grade touchscreen panel device with an efficient computing system. Projected touchscreens are powered by an Intel Bay Trail M/D with a 2.0 GHz Quadcore processor. Thus, it can store big data with valuable information. It is also compatible with various medical billing software integrating all financial, reporting and scheduling needs completely. The advancement of technology gives an innovative way in vision care. That is why optimising touchscreen technology is a huge help in improving eye care services. 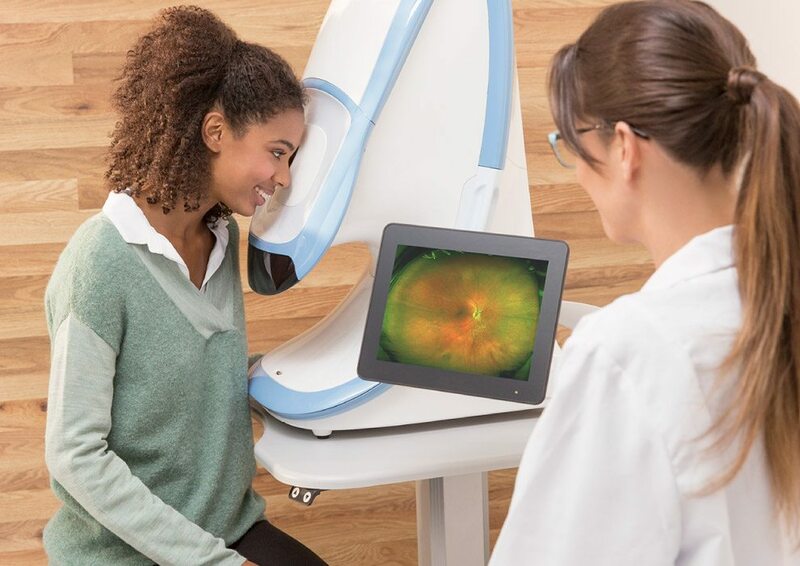 By installing the latest digital technology with 17” capacitive touchscreen displays, advanced diagnostics are performed such as a more complete image of the patient’s eye health and vision since it comes with a 1280 x 1024 resolution. As mentioned, S17 PCAP devices have an Intel-based computing system, meaning it can record and keep data for further eye check-ups and processes. Thus, an eye professional can have a clear view on the touch panel dashboard to see results from the diagnostics and provide efficient treatment recommendations to their clients. Most of the latest eye surgery equipment are touch-enabled to perform a much easier specific procedure. But, a touchscreen technology with projected capacitance enables the optometry experts to deliver safe, accurate and precise eye treatment such as surgery. Now, always keep in mind that 17” capacitive touchscreen technology devices are built to perform a certain function using a specific software and computing system. Investing a new technology for eye care services, such as PCAP devices, are quite challenging. But, if you look into its uses, you can provide better eye care services in a more innovative way. Whether you are aiming for small clinics or large healthcare facilities, it is always essential to embrace such kind of innovation and learn how you can optimise their services through providing a state-of-the-art technology. So, what are you waiting for? Customise and build your projected capacitive touchscreen today and start envisioning the future of eye care services.